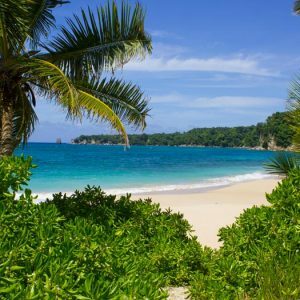 Many people think of the Dominican Republic as a place for all-inclusive lazy holiday, the reality is that the Dominican Republic has so much more to offer than those big hotels. For those looking to explore the DR has a lot to offer, read on if you want 5 good reasons why a (surf) holiday to the Dominican Republic should be on your 2018 travel list. If you think the Dominican Republic is only a good holiday destination for a lazy all-inclusive holiday, then you are seriously missing out. The Dominican Republic is a true Caribbean paradise for active people that are looking for adventure and excitement on their holiday. The variety of scenery on offer in the Dominican Republic rivals places like Costa Rica or Hawaii. 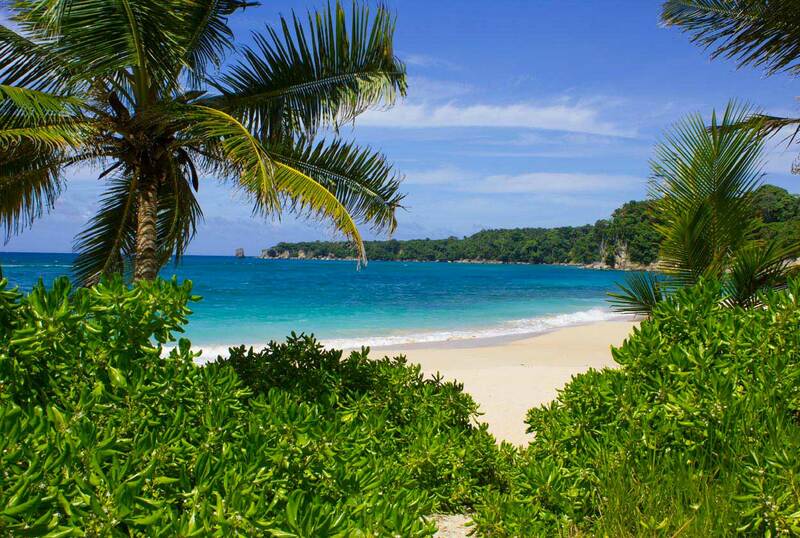 From awesome deserted beaches to lush mountain jungles, to colonial cities with lots of local culture present. One of the reasons we love the DR is that within a 1 hour drive the whole setting changes. At times there's even snow to be found on Pico Duarte, the highest mountain in the Caribbean! 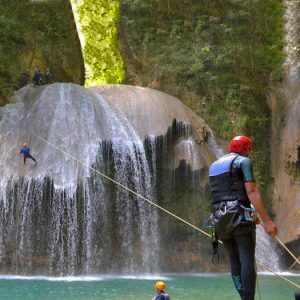 So you like an active adventure holiday? Not only are these activities available, the conditions that the DR provides for them are world class! Flying into the North Coast of the Dominican Republic, Puerto Plata ( airport code POP) is easy from North America. Direct flights from New York, Boston, Miami, Charlotte, Toronto, Ottawa are readily available and very affordable. No direct flight from your city? A short stop in Miami or New York and you are experiencing the Caribbean. The Dominican Republic is not as well known as Costa Rica, Australia or Hawaii as a surf destination. One reason for that is because the Dominican Republic does not receive the monster waves that can be found in Australia or Hawaii. What the North coast of the Dominican Republic does have is consistent waves year round that are ideal for beginner and intermediate surfers to learn to surf or improve their skill set. Have a look at what a typical morning surf at Playa Encuentro looks like, Romy ( swell surf instructor) and Sharlene are the featured surfers in this surf video. On average the costs of a holiday for a tourist to the Dominican Republic is 40-60% cheaper than going to Costa Rica. A fine meal in one the restaurants pictured above on the beach in Cabarete will costs you between $7 to $10 USD and a cold Presidente beer is around $2,5 to $3 USD. 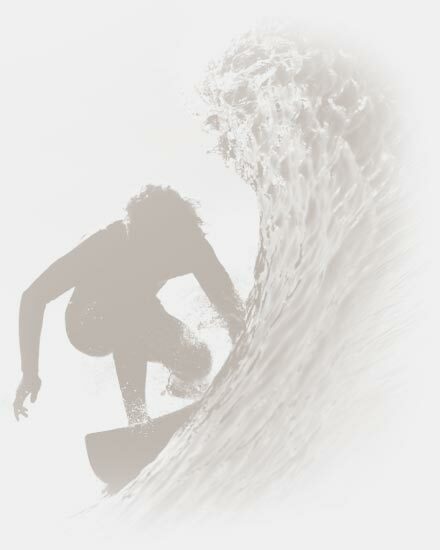 The Surf holidays that we at Swell provide are on average 50% cheaper than a comparable surf camp in Costa Rica. The Dominican Republic has some of the best beaches in the world! Very little development has taken place on the beaches since 60 meters from the waterline is protected by Dominican law from construction. The above empty beach is a 1 hour drive from Cabarete, we can organise a trip there, and if you go on a weekday our group will most likely be the only ones there on the whole beach. The Dominican Republic sits on the 2nd largest island mass in the Caribbean, Hispaniola (by comparison, Cuba is the largest at 105,000 Km2 and Hispaniola is 76,000 km2). The smaller part of Hispaniola is the country of Haiti. The Dominican Republic is a beautiful island with mountain ranges spanning right across the centre of the island. The largest of these is the mountain range of the Cordillera Central and includes Pico Duarte, the highest mountain in the entire Caribbean region at 3098m (10,000 ft). Hurricanes form from storms in late August and September, coming off the coast of Africa, which travel westwards across the Atlantic Ocean towards the Caribbean region. 2017 saw H. Maria and H. Irma, one after the other, the two worst storms in the region in decades. But, even with the level of destruction these storms wreaked, the Dominican Republic was unscathed (geography fact; Dominica, devastated by H. Maria, is actually very small island, no less than 1000km from the Dominican Republic). Hurricanes gain their strength from warm, open water and fare best from uninterrupted travel. Smaller islands in the path of a large storm have no defence, but this is not true of the Dominican Republic, whose massive mountains act as a natural barrier to the air pressure crucial for maintaining hurricane's circulation and strength. This means that time and time again, even when a storm looks completely on track towards the Dominican Republic, they are deflected either North or South of the island, making the Dominican Republic easily the safest island in the Caribbean region during hurricane season. However, if you want to have zero risk of encountering one of these storms, avoid the Caribbean in general between mid-August and late September. The all-inclusive hotels in the Dominican Republic will have you believe that it is not safe to leave their resorts. This wide-spread scare-mongering is policy for these hotels and is utter garbage; I am more than happy to discredit this. The fact is they have a vested financial interest in keeping you 'locked' inside the resort: That way, you will spend more money inside the hotel and only use their pet tour operators to take you on organised trips, gaining big commissions from each guest they send out. The tour operator themselves also gain commissions from each attraction, store or restaurant they take you to, meaning that you won't be taken to the best places, but to those who pay the largest commissions. The last thing these all-inclusive resorts want is that you, as a visitor to the Dominican Republic, take it upon yourself to go and explore, choosing where to spend your cash and leaving them bereft of the extra money (after all, they make little from your stay given the discounted rates they have to offer the holiday companies - that's why the quality of food and drink inside these hotels is so poor). The reality is that it is very safe indeed in terms of going out and about and meeting local people. The safety aspect most important to bear in mind when you venture out is the driving practise in the country; road safety in the Dominican Republic is pretty atrocious, with little regard for speed limits and obeying normal laws at junctions, for example. If you do hire a car, consider as safe an option as you can afford: A sturdy car will stand you in good stead in the event of any kind of collision. Also, take a car with sat nav so that you can navigate your way around; sign-posting is not very good. Better still, take a taxi. Taxis are regulated in the Dominican Republic with the fares set nationally by the government and the taxi association. Petrol (gas) and diesel are not cheap in the Dominican Republic and cars are very expensive to import, so naturally, the taxis are not as cheap as you might expect or hope. But at least a Dominican taxi driver knows the roads and is used to the driving conditions, so in my view, it's the safest choice. Taxi fares are per taxi, not per person, so if you are in a group, the charge can be split. As a guide, Sosua to Cabarete in a taxi (a 15 minute journey) will cost around $20 USD. If you are on a tight budget, gua-guas and carritos are travelling all the time between the major towns. Get ready for an eye-watering squeeze; these are mini-vans and beaten up saloons respectively, which will always beat the 'how-many-people-a-vehicle-can-fit' rule. The plus side is that they'll stop anywhere if you put your hand out to flag one and are a super-cheap way to get around. Lastly, there are the moto-conchos (motorbike taxis). In some areas, these are regulated and the drivers wear bibs to show they are a listed driver. It's a cheap way to get around, but bear in mind the following points before taking one: You won't be wearing a helmet (unless you bring your own). The second thing to bear in mind is that these guys will always try to over-charge, so familiarise yourself with rates before jumping on. A 5km journey should cost you around 100-150 pesos (around $2 to $3 USD). I've heard of moto-conchos trying to charge a thousand pesos (around $30 USD) for one kilometre. If they can get away with it, they will. One of our hotel guests at Swell was once asked by a non-regulated driver to hold his live chicken from one end of Cabarete to the other. It was less than 2km and whilst it caused much amusement to her at the time (she duly obliged) it couldn't be considered as safe. And, there's the thing about a country like the Dominican Republic, it's a developing country, not third world any longer, but it's not 1st world yet either. The lack of rigid regulation in all spheres makes it a fun and relaxed place to be, but you have to use your common sense. Walking around during the day and night in towns/cities of the Dominican Republic. I want to recount an experience I had some years back, when I had just moved to the Dominican Republic. My husband and I were in the capital, Santo Domingo, walking around in the charming Zona Colonial (a Unesco World Heritage site) where many of the most important buildings to Dominican Republic history are sited. We had strayed off the busy areas and squares where all the lovely restaurants and bars are located and were trying to find our way back to our hotel (back in the days when we didn't have Waze or Google Maps to help guide us). The street we were in got darker and darker and we didn't feel particularly comfortable (I would liken it to wandering into a more shady part of London, England). A dark car drew up alongside us; there were four guys in it. We were very nervous about what might happen next. Instead, the car window was wound down and in perfect, Spanish-accent-tilted English, a young man said to us 'this isn't really a great part of the city to be wandering around, where are you guys trying to get to?' We told him we were looking for the Nicolas de Ovando hotel (I highly recommend if you go to the Zona Colonial). He explained which way to walk (opposite to that which we had been) and then they stayed behind us for a few hundred meters until we were back in the well-lit populated area. I've never forgotten the experience. It was totally our mistake to not use our common sense and keep to the obvious lit areas in a busy capital city, but the impression we were left with was of being looked after and of real friendliness from strangers. There is a lot of negativity spoken about the Dominican Republic's safety, but along with the experience above, we have lived and worked here for many years, and brought two children up here without any issues. I've worried about my children getting on motorbikes (they were always forbidden) but I've never worried about them running up and down the beach in games of hide-and-seek with their friends as we would dine on the beach with our feet in the sand. On the contrary, Dominicans are fantastic with children and as warm and loving people, I always felt my children were more safe on the beaches of Cabarete than they would be in some of the towns in the UK where they were born. Tourist Police frequent the towns of Cabarete, Sosua and Puerto Plata. As long as you take sensible precautions, you will be perfectly safe. Here are some useful tips to lesson your chance of becoming a victim of crime. Make sure that if you travel to the Dominican Republic ( or anywhere in the world), you have a travel insurance policy in place. Hospitals are good in the country and can treat you for minor issues or more major things, but as in the United States, they will want proof that you can pay for it and will always ask for your insurance documents. Police stations are in all towns. Remember that the basic salary of a policeman is around $200 USD per month; they guys don't earn much and are not necessarily well-trained. If you need help, you'll get it, but you may have to be patient. Because of the low salaries, bribery is common; it's not pretty but it's a fact and you might be expected to grease a palm to speed up what you need. This is especially true of the traffic police. If you haven't got the correct license and you get stopped, they will issue a ticket and on rare occasions, confiscate your vehicle unless you can talk or pay your way out of it. You must wear a helmet on a motorbike, but you will often see people without. The law says you should, so you can expect a fine or even your bike impounded if you don't. In general, very few people have a bad experience of travelling in the Dominican Republic. 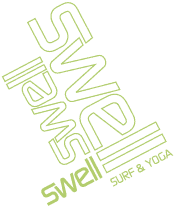 In 9 years of owning and running Swell surf camp, we've seen almost 5000 guests come and go from our hotel and there have been no serious incidents with any of them; just a couple of thefts from the beach as you might expect with a number such as this. 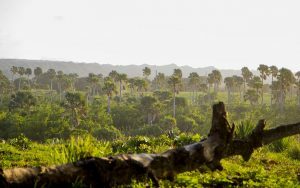 Don't let untruths stop you from travelling around and seeing this extraordinarily beautiful island and meeting its wonderful, welcoming people.